You can resize a toolbar by sliding its tail-end. Hide a portion of a toolbar by dragging another open toolbar over its tail-end. 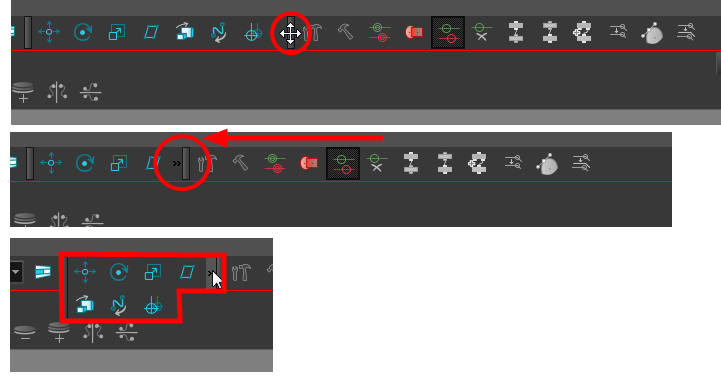 Click on the arrows appearing at the end of the collapsed toolbar to expand it.